You might have heard the term ‘comic con’ before, but what does it mean? What costumes are all these people wearing? Why are they carrying towels? The 2019 YPRL Comic Con is almost here, so we’ve put together a handy FAQ to help you figure out if it’s for you. (Hint: It’s for everyone). Comic con is short for ‘comic book convention’, and it’s a public festival celebrating comic books and the culture that surrounds them. This includes pop culture, gaming in all its forms (on computers and consoles, table-top games, even virtual reality), costuming (known as cosplay), fan groups, and way more. 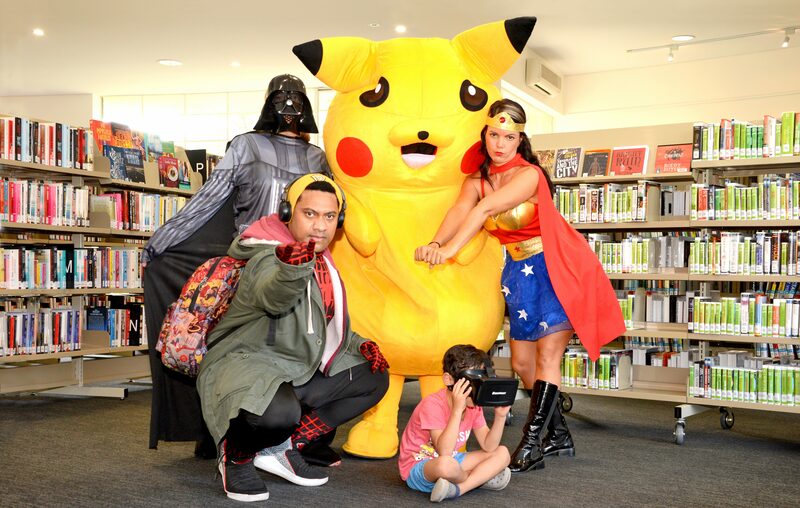 See the video of last year's Comic Con at Mill Park Library here! You! The YPRL Comic Cons welcome people of all ages and abilities. It will be a safe space to connect and mingle with like-minded people, to nerd out over your fave things, and to find new things to get excited about. We’ll even have a selfie booth there, so you can capture your new mates and look back on how you first met. We’ve done a call-out to the community for stall-holders and presenters, so the YPRL Comic Con will feature fantastic local groups. Just bring along your curiosity (and, if you’re in Diamond Valley on 25 May, your towel!). These events are hands-on fun. We encourage you to enter a cosplay competition, to fight with a light saber, to try VR gaming, and to get amongst the local geek and pop culture celebrations. Because we’re a library, books will be a highlight. There will be indie comics and zine tables, huge book displays including all your favourites, and we will be launching a digital comics collection, which you’ll be able to download straight to your devices. Nothing! The YPRL Comic Cons run all day, and are all free. In addition to our Comic Con festival days, across May our libraries are hosting lots of events that explore geek, tech, comic and pop cultures. See all Geek events here.